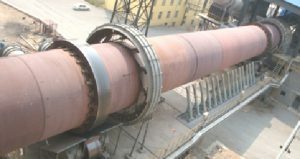 Rotary kilns are used to produce materials, such as cement clinker, alumina, magnesia, ceramsite and lime under high temperature. The TPD range from 1000 to 14000 and the Dia vary from 3Mtrs to 6.2 Mtrs. Spring lamellan are attached to seals to the kiln inlet, which serve as an insulation layer and increase service life. Statically determined structure ensures even distribution of forces onto the 2 supports Kiln support. Low heat load per unit cross-section, low consumption of refractory. 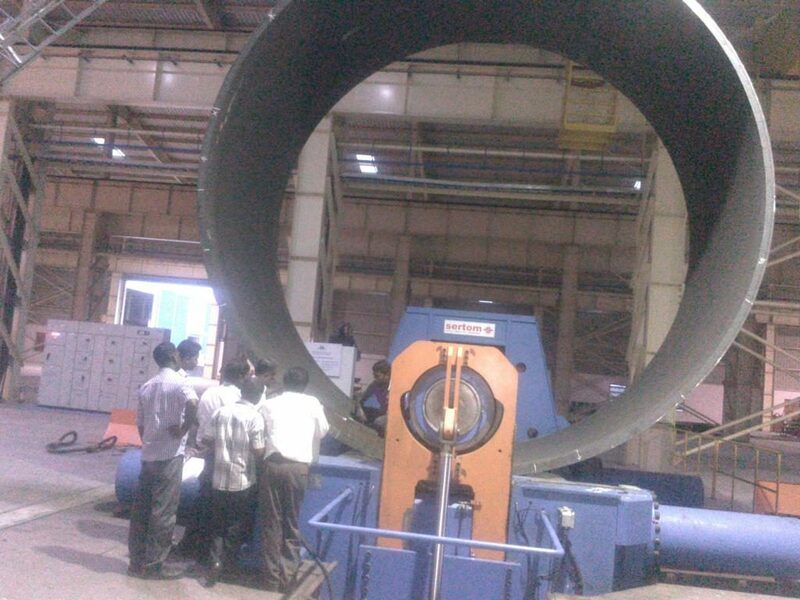 High equipment reliability by avoiding mechanical overload. Minimum space requirement, translating into low investment in land acquisition and civil works. Good ventilation through kiln-good adoptability for raw material and fuels, possibility of increasing production. 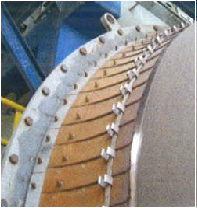 The unique structure design of splined tyre and shell shim plate guarantees the 100% synchronous operation of shell and tyre; it can also transform the radial force along shell to the tangential. In this way, the deformation of shell could be effectively restricted and the service life of refractory brick is prolonged. 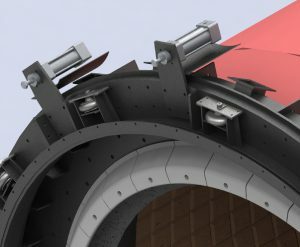 Self-alignment kiln support guarantees the 100% contact of support roller and tyre and high transmission efficiency, so as to prolong the service life of cast and forge parts. 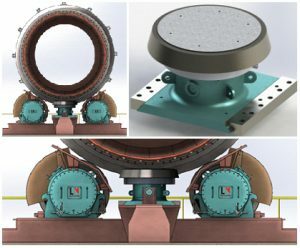 Kiln drive via support rollers is characterized by compact layout, stable operation, reliable performance and low maintenance. 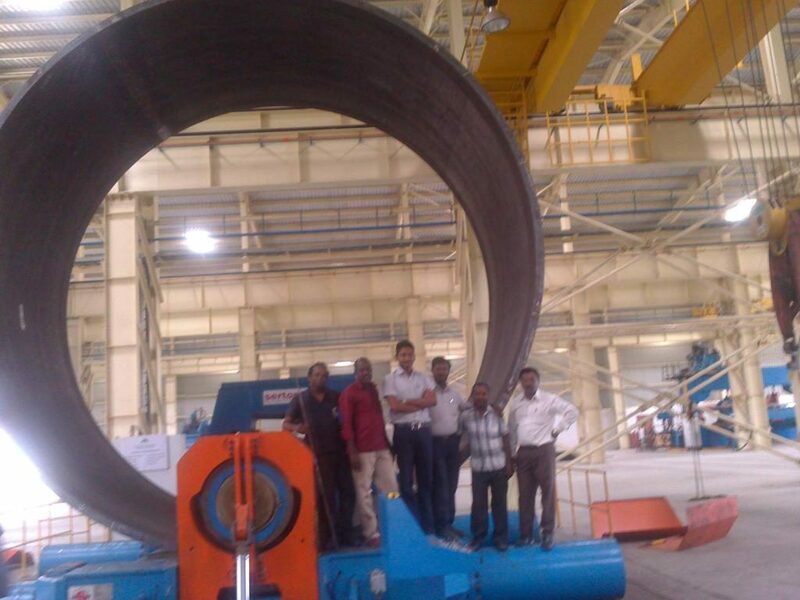 The tyres of the kiln are designed according to maximum ovality limit. 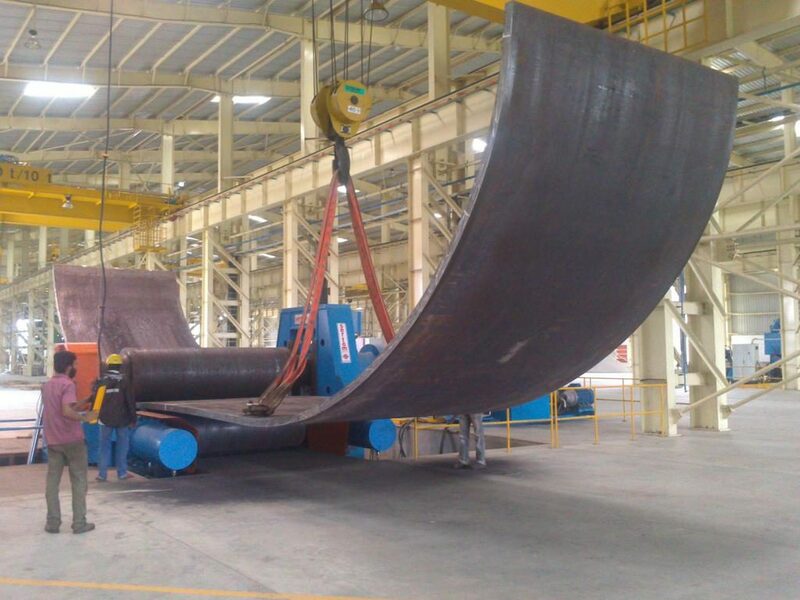 They are dimensioned to ensure they are not affected by any types of load resulting from various operating Conditions. 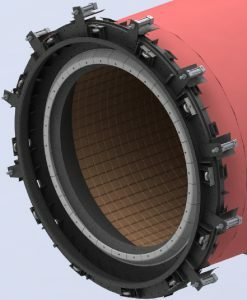 Precalcined raw meal is fed from the inlet chamber via the refractory lined cylindrical support shelf (tongue plate) into the kiln. The simultaneously rotating scoop ring safely returns any hot meal back spill into the inlet chamber. 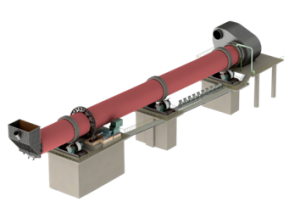 Inlet seals of rotary kilns are supplied with pneumatically operated seals. Reduces loss of material, helping to preserve the environment. Retains its sealing property during the campaign between 12 to 15 months. 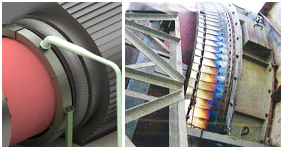 The high efficiency and low wear rates of seals make important contributions to economical kiln operation. 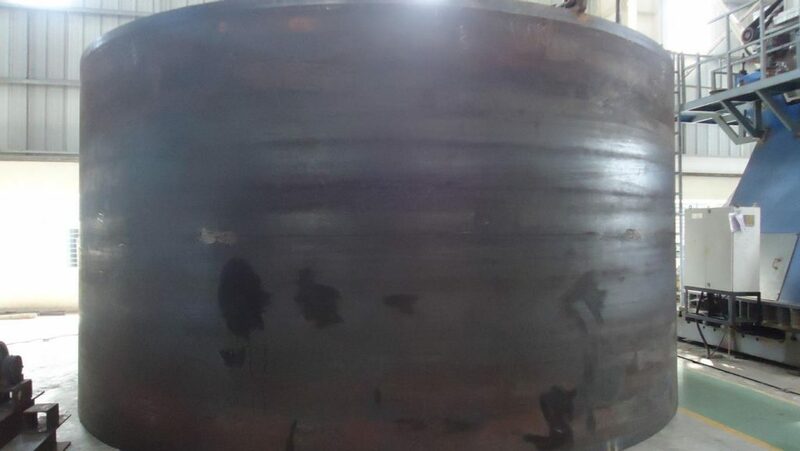 The proven spring-loaded segmented seals, which were developed by LNVT, are fitted to the kiln outlet. The pressure elements, springs and levers, rotate with the kiln, sothey can be easily accessed at any time. 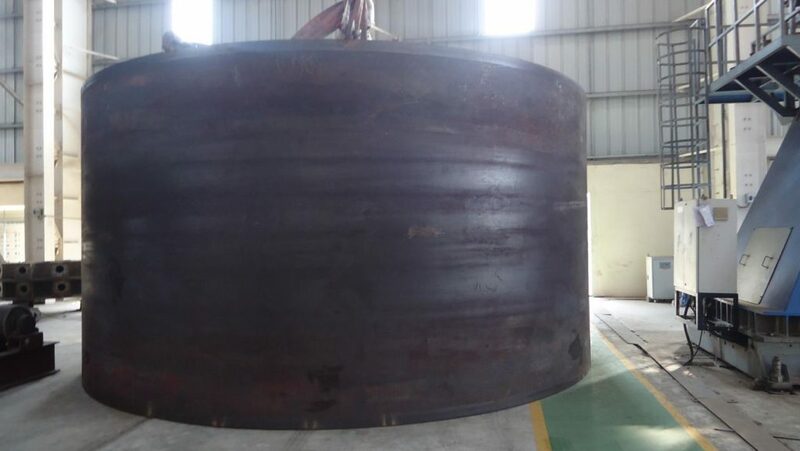 Both types of seals are designed to ensure a continuous seal despite shifts in the position of the kiln due to the influence of temperature and longitudinal movement, as well as any possible “deformations” to the kiln shell. This also prevents false air infiltration in the kiln.